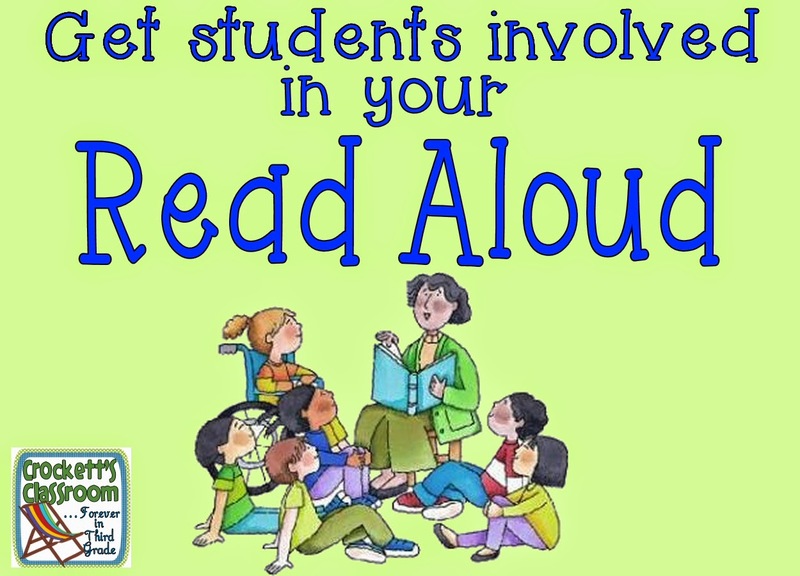 One way to make your read-aloud time more efficient is to focus your discussions on current skills, strategies or content. It's like killing two birds with one stone. Your kids get to enjoy a wonderful book and you get to pull in some instructional time. Start by planning how you'll use your read-aloud time. This planning sheet will help. Begin by writing the date and the page in the text where you'll begin. I usually don't put an ending page because I'm never sure how far I'll get in the book. It will depend on the discussions we have that day. 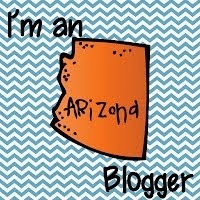 At the end of the read-aloud I'll write the beginning page for the next day. 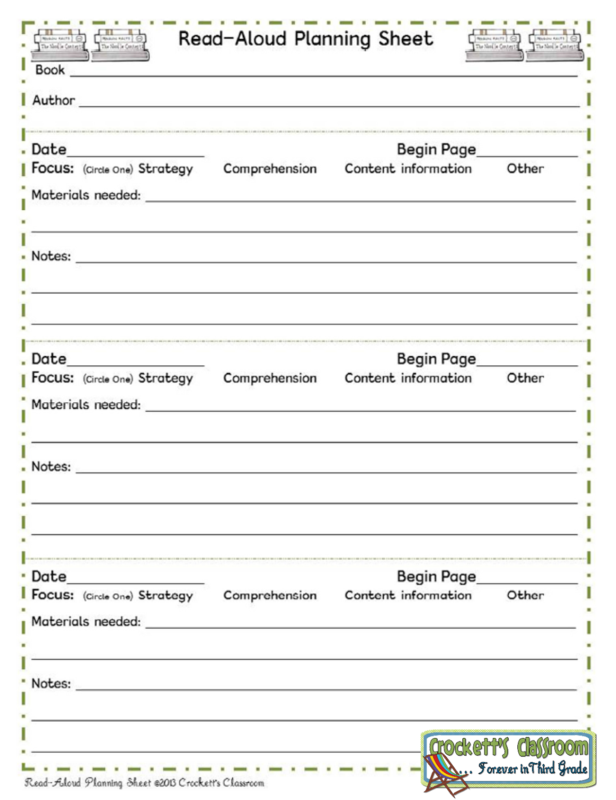 On the planning sheet you can circle if the lesson focus will be a strategy, comprehension, content information or other. Then any materials you might need. 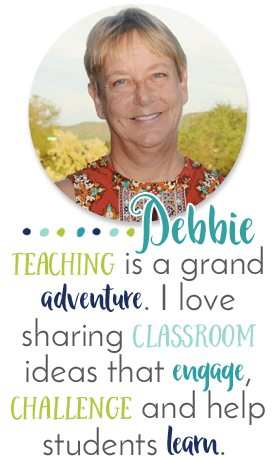 This might include chart paper, reading notebooks, chat cards, name sticks, partner list, etc. There is also room for notes to jot down any reminders you want to give yourself. Perhaps you want to note the pages where you'll stop for the discussions. I also suggest you place sticky notes in the book to mark places you'll stop for instruction and/or student discussions. One way to get students involved in discussions about the book is to use Reading Chat Cards. These cards have a thinking stem students can use to begin a talk with a partner during your read-aloud time. You can tell them which card to use (they're numbered) or let them choose one for their partner chat. When students are first learning how to focus on their thinking (metacognition) I let them hold their ring of chat cards. When they want to add a thought to the discussion they hold up the card they want to share and we listen to their thoughts. Other students can join in and share their thoughts about that topic. They all want to share and this is one way to get them to focus and also "branch out" with their thinking a little. It helps cut down on the "I have a dog." remarks. 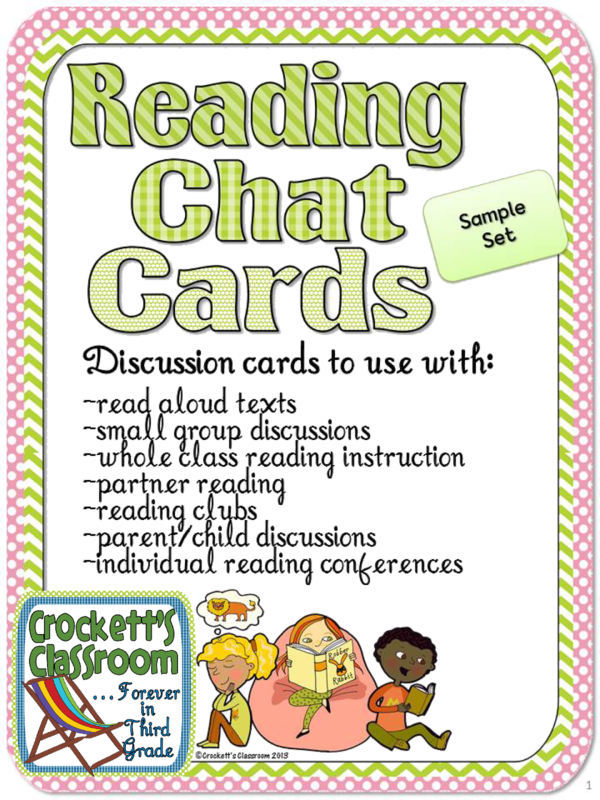 Click on the image for a free sample set of Chat Cards you can use with your class. Cards 1a-16a can be used with literary texts and 1b-16b can be used with informational texts. I hope these resources help you incorporate read-aloud texts into your instructional day.